Retail start-up costs have an infinite range, depending on who your demographic is, where your market is, and what your inventory costs will be. The best way to determine your costs will be to develop a business plan; The research your plan puts you through will reveal your business' start up cost. One quick tip: add about 15 percent to your expected expenses to ensure that you have enough to cover unexpected situations. As you build your business plan and predict your expenses, property rental costs, fixtures, employees, advertising, insurance, fees and permits should all be included. The cost of your storefront depends entirely upon where you set it up. 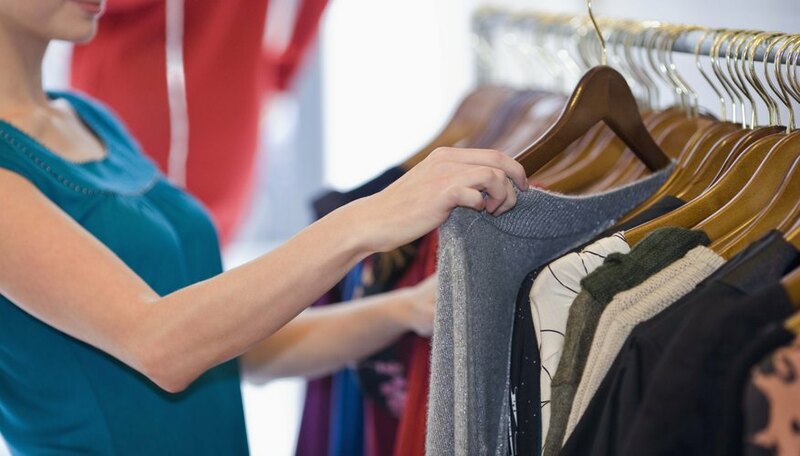 Among the considerations: Do you have a physical inventory that requires a high-visibility retail storefront, or are you more of a middle man who could locate in a less-expensive commercial area? Online stores have the convenience of a worldwide market, low maintenance fees, and may require few or no additional employees. A physical store, however offers convenience and service to your customers. With low to mid-level HTML experience, you can operate a website for around $100 a year on some hosting sites such as webs.com. 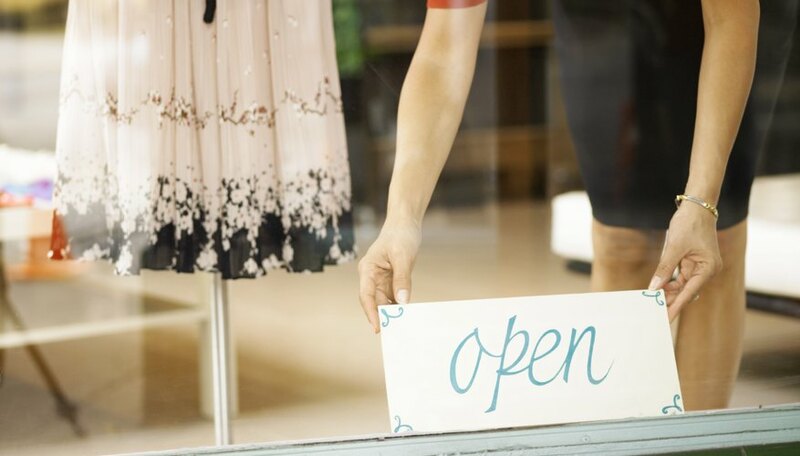 To lease a storefront, find out the cost per square foot of your prospective property. As of 2009 in Southern California you can lease a 1,200-square-foot property at about $1.75 per square foot, coming to $2,100 a month (strip mall property on Yorba Linda Boulevard next to Cal State Fullerton). Real Estate sites such as cityfeet.com will offer comprehensive listings for your area. What are you selling your product on? You'll need racks, hooks, shelves, etc. Also, include office and janitorial supplies. Let's allow $2,400 a year--or $200 a month--for fixture expenses. Let's throw in another $500 per month for utilities including light, heat, air conditioning and phone; again these figures represent costs in Southern California. Because utility costs will vary by company and region, find out who provides service to your area and research their fees. Remember the larger your space is, the more expensive utilities will be! What are you paying your clerks? Let's assume you hire two part-time clerks at $8 an hour (minimum wage in California; 2009) for 20 hours a week; that will cost $1,280 a month and $15,360 a year. Remember to add $1,536 a year for a 10 percent payroll tax. In the U.S., employers must contribute one-half of Social Security taxes, and one-half of Medicare taxes for each employee. This is also known as the FICA tax. Some states may require additional taxes--www.taxsites.com will provide you with what you need for proper research. Who will shop at your store? Advertising is essential when generating new customers or clients. A low advertising budget can stand around $500 a month, tacking $6,000 to our growing yearly expense sheet. Advertising online should run about $20 per thousand clicks to your site, this is also known as CPM (M is the roman numeral for 1,000). Other advertising costs such as print or billboard ads, which command higher rates, should be handled after you've become more comfortable with the operational process of your business. Google AdWords, Myspace and Facebook all offer competitive "pay to click" ad programs. Protect yourself from liability and loss; buy insurance! Prices will vary by region and company; "Business Insurance" rates insurance companies every year--the 2008 Reader's Choice Winner (less than $25 million) was the Mid American Group Inc. They may be a good place to get a quote, but remember that rates differ between regions as well. Proper permits are vital to any upstanding business. Expect all your collected permits to run around $175 a month (California; 2009). Professional Licensing (optional): Contact the licensing department in your state that covers your profession, if applicable. Depending on your business you may need additional permits as well; your local officials will know what else you need. Let's also add loan interest; an easy rate is 10 percent on a $50,000 loan. This will come out to $12,744 of interest per year. Adding together all of the above costs and expenses, opening a retail store will cost you about $89,340 during your first year. What would you need to sell in order to break even? Let's say that you'd like to make $42,000 a year owning your retail store--you would have to sell $856.42 per day if you are open seven days a week. Starting any business is a worthwhile venture, and as with anything in life, the greater the risk the greater the reward!